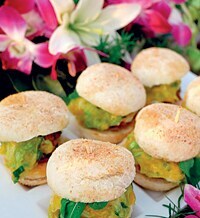 Located in the middle of Goa's quaint Chapora river, Flor Do Mar caters more to soul than palate. There is something about a floating restaurant that suggests gimmicky. Yet Flor Do Mar, on the hip Morjim stretch in north Goa, is anything but. If you are seeking an experience that's novel to Goa and allows you to enjoy a quiet moment back in a space that is not a typical beachside shack, this should be on your must-visit list. 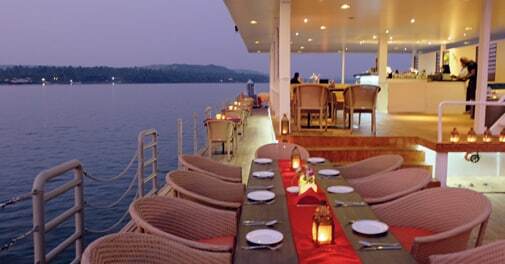 A narrow lane leads to the river front, where you are whisked by speed boat to the restaurant located on a renovated barge in the middle of the Chapora river. First, the positives. Their staff is friendly and the service is excellent; the decor is chic and understated with a covered bar area and two open decks. The bar manager is knowledgeable too, always happy to whip up a terrific fresh fruit cocktail or mocktail. The food, though, is a tad disappointing. We started with the butter garlic prawns in white wine sauce - thick, greasy and definitely not your regular rendition of the dish. The baby burgers that came next were well constructed and the burger bun had a decided Goan influence (they use the local husk bread or poi), but needed that extra punch to go from good to wow. For mains, the farm fresh beef stir fry with buttered rice and roasted vegetables was confusing. The flavours were Asian, yet the accompaniments tasted European. Food aside, the kiwi margarita was delicious as were the mocktails. With exquisite views of the river and the sea beyond, Flor do Mar is a wonderful place to host a party and watch the sun go down as you sip on a refreshing cocktail. Go on a Friday or Sunday night, and you can have your cocktails under a starlit sky with a live band playing soulful melodies. But, as the food on the menu isn't much to write home about, I would recommend you stick to finger food rather than the mains for a truly memorable experience.